Looking For a Way to Track Your Assets That is Cost Effective and Offers Simplified Pricing? The TrackAbout system is a cost-effective way to save you valuable time and money by helping you track your returnable assets, with simplified pricing making it easier than ever. 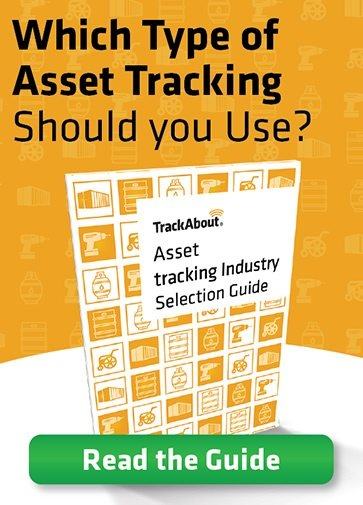 TrackAbout’s pricing is based on the number of assets tracked and the number of modules used. In this way, you pay for just what you use. We do not charge per user because we want to encourage more people in your company to use the software so that you can get the most benefit from it. Basic tracking starts at $225 per month. The pricing scales to get cheaper per asset as the number of assets increases. TrackAbout also charges a one-time setup fee to cover implementation of the service for you. This includes unlimited support during implementation. At any scale, the benefits will far exceed the costs. The most important thing is to find out if there is a fit between what you are trying to accomplish and what our software can do today. The best way to do this is with a free consultation and demo with our team. Please talk with us for a customized quote. All clients get unlimited phone and email support as part of our On-Track™ program. We know that tracking projects can be a big deal for your company and we will help you every step of the way. As an organization, we pride ourselves on our helpful and friendly On-Track Advisors and we consistently get high marks from our clients on this support. TrackAbout has spent 15 years focused on the problem of tracking and managing returnable containers and equipment. We have very deep functionality in this area. If you have tried a tracking project before, you know what we are talking about. If you haven’t, there are many pitfalls to overcome when it comes to recovering from mistakes that happen in the real world. We have seen and handle these kind of issues. On top of this foundation of accurate data we have added many modules that work seamlessly together to not only manage your assets but to automate the processes and paperwork that surround them.